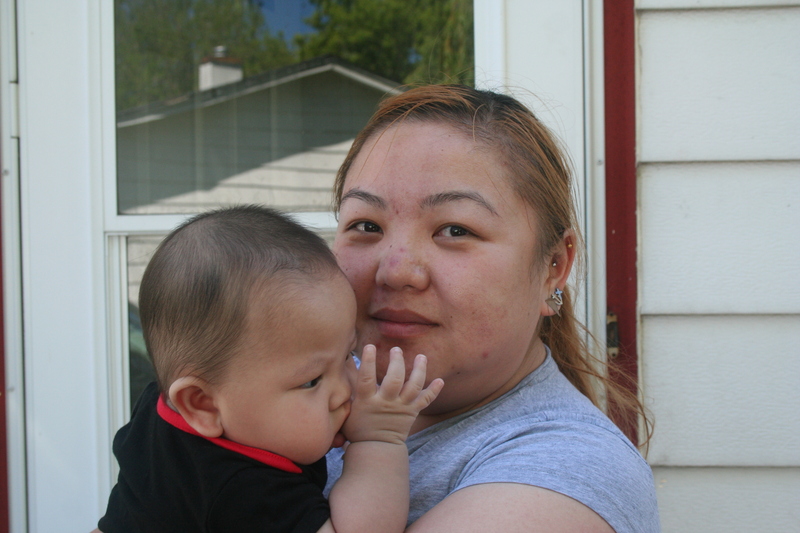 Pang Lor’s parents, who are of Hmong descent, came to Milwaukee from Philadelphia after her second-oldest brother was born; she arrived shortly after. “[My parents] came [to America] during the Vietnam War so when they came here they were still relatively young,” said Lor. Though Lor says living in the projects was fun for her, her four brothers and sister because they got to play with all of the other kids, hers and other parents were on high alert because of the level of crime and the fact that Jeffrey Dahmer was still free, at the time. “As soon as the streetlights came on the majority of the kids were already at home,” she said. Then, in the early 90s, the Lors moved to Park View. Pang says the community, which mostly consists of one large cul-de-sac, is relatively quiet and safe because there are a lot of long-time homeowners. “Everybody knows each other in this neighborhood,” she said. In a year and a half, Lor will graduate from Waukesha County Technical College as a registered nurse. When that time comes, she’ll be looking for a new place to belong as she plans to move to New York where she has friends from her earlier days at UWM. Did you find value in Pang’s story? If so, please subscribe to our newsletter; we publish the story of a different Milwaukeean every week.